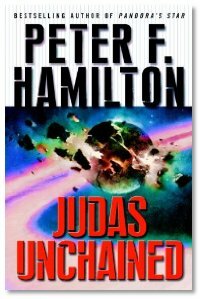 We talk with Peter Hamilton about his new book Judas Unchained. A high science fiction book about a future universe where you take a train to other worlds. Amtrak was never this cool. Tune in and check it out. - Evo is gone this week, so Michael, Summer & Joe keep things rolling. - A fan of the shows stopped by and brought some tea from Tazo. I think Butcher's Dresden Files are coming to Skiffy. Anyone confirm that? Yes, a pilot movie has been filmed and once SciFi looks at it they will determine if they will go to a series for it. It is being produced by former DS9 writers Robert H. Wolfe and Hans Beimler. I think it might make a good show to pair with Galactica in the Fall. Guys, I know my voicemail - that you play on the next show, and a big thanks for that BTW - mentions my other favourite Hamilton series. I found the first book on Amazon, The Reality Dysfunction Part I: Emergence... buy it and read it. This series is the reason why I almost bought the gazillion pound (weight) hardback of Judas Unchained when we were in London last October... too many gazillions for me to lug back to the flat and across the big pond. I will be buying the eReader version of Judas Unchained, though. Peter F Hamilton books are everywhere here, not so popular in yankeeland then? Seems to be a bit of that from reading stuff on the net etc., a lot less exposure to UK authors? 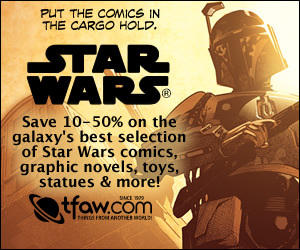 Who are probably easily the best stuff I am reading recently, too, in general. Thanks again for the opportunity to stop by and visit. I'm sorry I didn't have a chance to meet any of the rest of the crew, maybe next time. I'm glad your enjoying the tea. I hope you enjoy the wine!